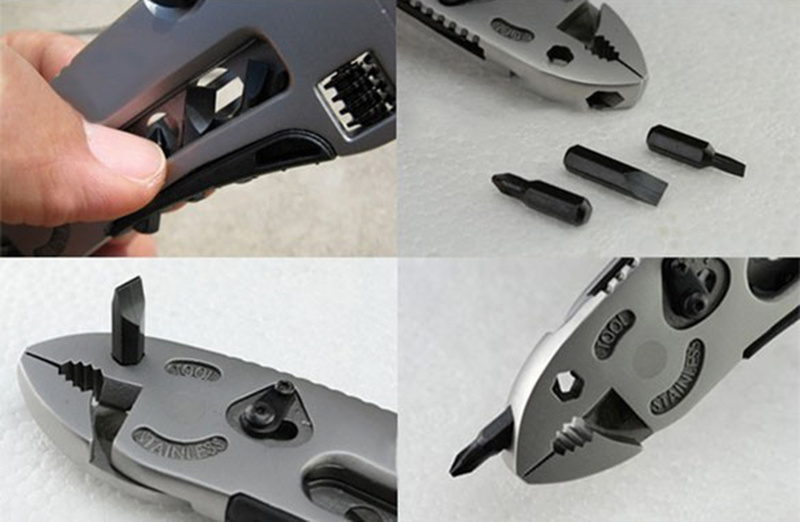 The Piranha Multi-functional Tool is a handy essential to your toolbox that has a solution to every problem. 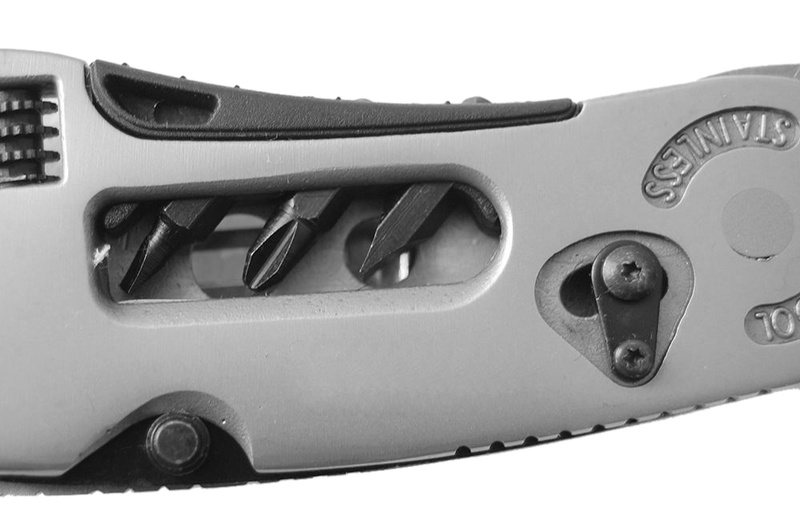 It includes a mini knife, saw, spanner, pliers, wrench and screwdriver, all in one handy tool! Reorganize your toolbox, and make i extremely lighter with this all-in-one essential. with the tools needed for everyday use are cleverly stored together. 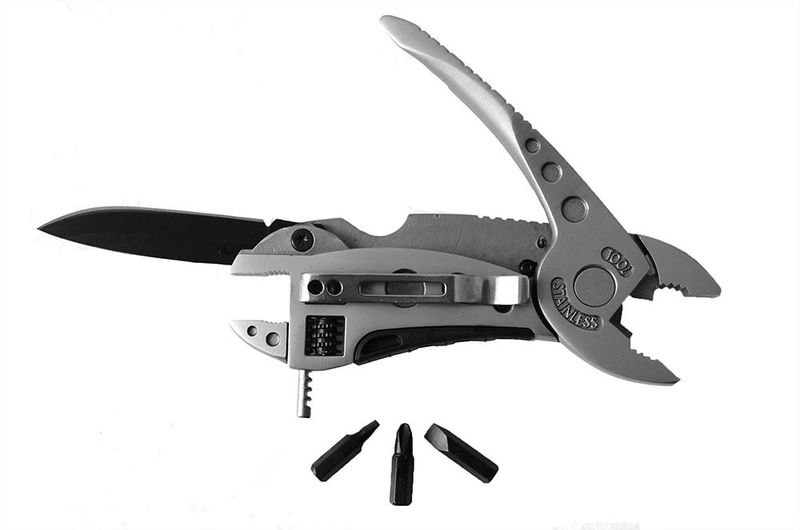 - Multi tools with mini knife, saw, spanner, pliers, wrench and screwdriver. - The blade can be opened and closed with one hand using the blade slot. 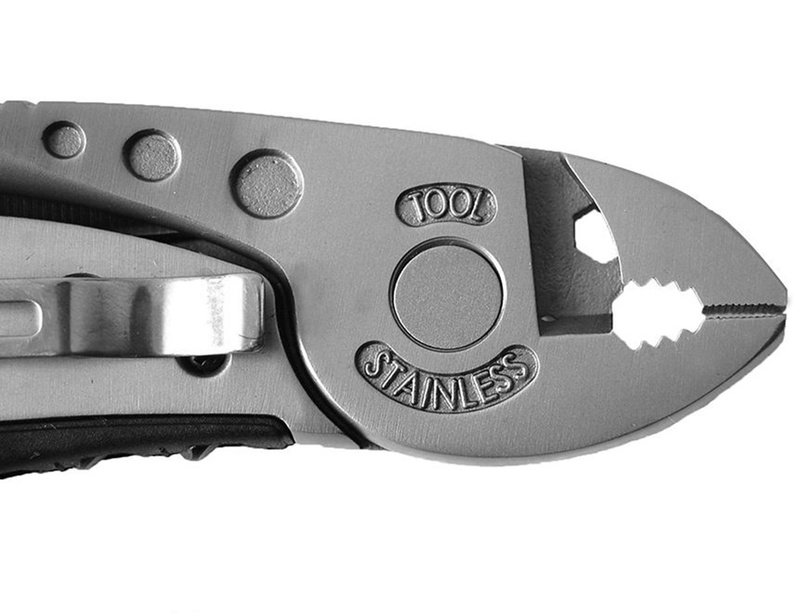 - The clip will hold the tool in your pocket or on gear, which gives a lot of versatility. - Material: Handle shank casting 2Cr13, tool 3Cr13. - Hardness: 54 - 56Hrc.